Before Netflix launched “House of Cards,” its much-publicized foray into original programming, the video service announced that it wouldn’t be providing any kind of viewership numbers for the show. If so, that would be a pretty big deal, since “Walking Dead” is one of the most popular shows on TV. The cable TV show drew nearly 12.5 million viewers for its season finale this year, and frequently beat out big broadcast shows throughout the spring. Netflix, meanwhile, has about 30 million U.S. subscribers, period. It would be amazing if nearly half of them were watching a single show, right? And it would also say a lot about the future of TV. Maybe one day, it will. For now, though, we will have to keep guessing about the “House of Cards” audience. Instead, Friedland said, Sarandos was talking about the show’s demographic appeal, which Netflix said is wider than it might have thought. “He was saying that the viewing audience is broad, in the same way that ‘Walking Dead’s’ audience is larger than horror fans,” Friedland wrote. That makes sense. It would be much more surprising if Netflix decided to deviate from a pledge it made loudly and often a few months ago. 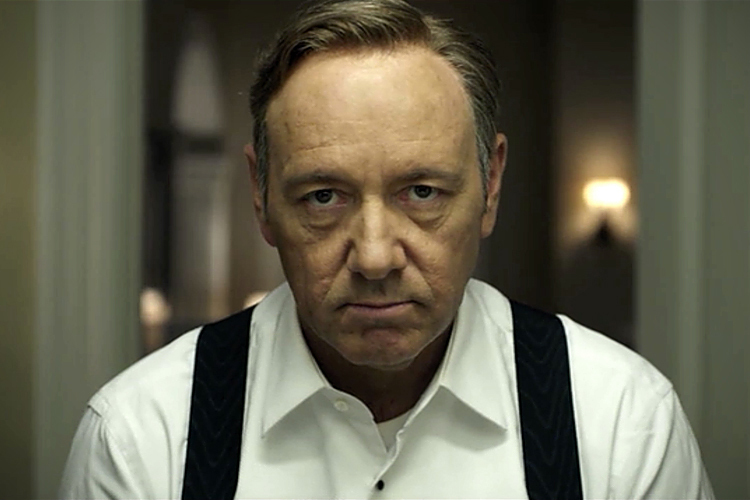 THR: You’ve been reticent to share ratings data, but tell us what you have learned about the “House of Cards” audience. Sarandos: The major international appeal for “House of Cards” was kind of a surprise because it’s a very American show. What we learned is that American politics is very American, but greed and corruption and all of that is very global. Corrupt politics is not new in Latin America, as it turns out. (Laughs.) Within the U.S., you could have argued that most people who watch “Mad Men” would watch “House of Cards.” But the viewing is much more on par with the large-scale mainstream things like “The Walking Dead.” It was much younger than we thought. One of the things that surprised me was that women love the show because they love Robin Wright. And younger people love Kate Mara. Everyone is able to gravitate to this show for very different reasons.